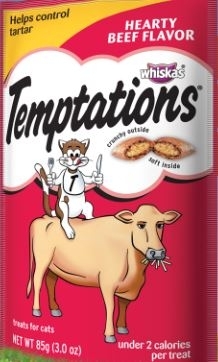 Whiskas Temptations Indoor Cat Treats have a tasty, crunchy outside and an irresistible soft flavored center cats love. 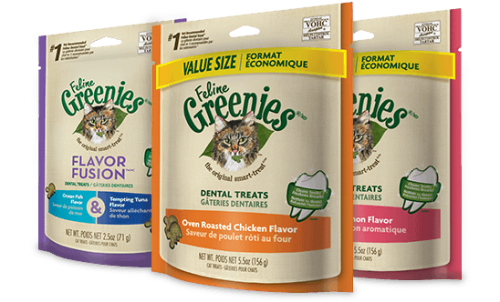 Made with so many enticing aromas, delicious flavors, tantalizing textures and colors for your cat to explore, it will be a party every day. 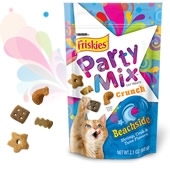 Friskies® Party Mix Beachside Crunch cat treats are made up with a variety of flavor-coated shapes, each with its own unique crunch. Try all 9 varieties of Friskies Party Mix and unlock a pouch full of fun for you and your cat today!